Holy Land Hipster: Are You Ready For Some Football? Football season is officially here! 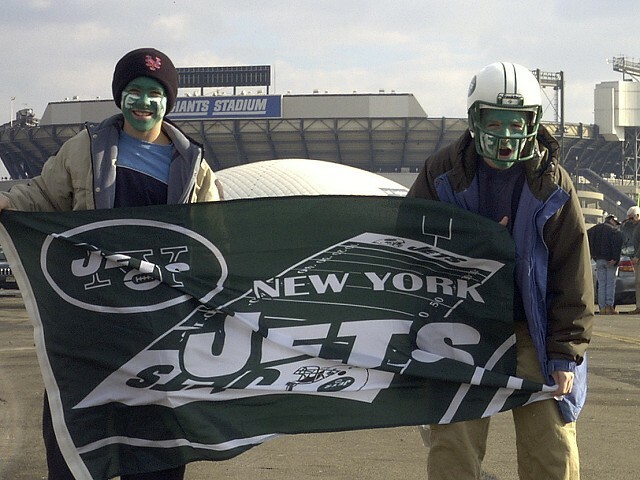 Today is the first day of the new season and this year, the Jets are going to go all the way! Or, at least I hope they will. Last season was so depressing. The Superbowl this year is going to be terrible though, Detroit is a hole. And Detroit in February is pretty much the most depressing place on earth, I should know, I spent almost a week there at a trade show a few years back. It was an Automotive trade show and I was representing the British Government. I loved my clients, so it was fun hanging out with them, but whoever it was that suggested we walk around Downtown Detroit late a night in the middle of a snowstorm was a complete dumbass. Anyway, at least there's Greek Town and gambling across the river in Canada. It will be interesting to see what Super Show will be like in Detroit, I wonder what the usually half-naked ladies will do in the frigid cold? Hmm, I think I'll ask Joel Segal for comments. Back to Tel Aviv. I'm still on the search for someone to come watch the games with me tonight. So far, no takers. Hmmm, maybe I'll try my friend Eli in Jerusalem. I know he's a sports fan. Congratulations are in order for me today. I went back to Maccabi and finished the entire process. At 350 shekels a month, I now have health insurance in country. Compared to what everyone else pays per month on health insurance, I'm getting raked over the coals. But, since I was paying $450 in health insurance each months in the States, I'll take the 350 shekel a month happily. I'm off to go play in traffic now (actually, just heading up the the gym for a few hours, but you know I love the drama). Song of the day is Get Myself Into It by The Rapture. Great tune for working out! PS I just called to check in with my landlord. No shock here, he is still waiting for the kitchen. I can't wait for my American landlord to get in tomorrow cause we're gonna have some words.